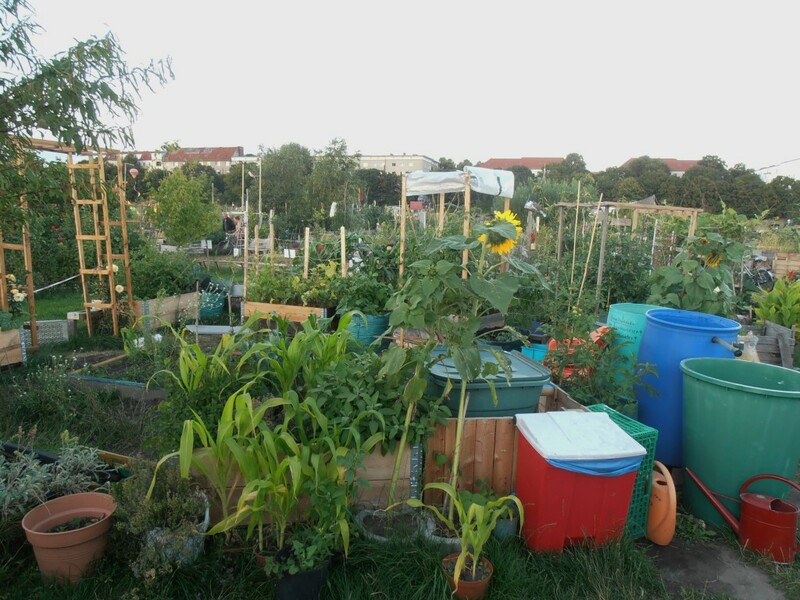 The city gardeners of Berlin – dirt poor or dirt rich? When I visit a city, old or new, I don’t spend so much time anymore on the museums or the cafés. Instead I head for the parks and the gardens and the lakes and the green spaces. Maybe it’s age. But I want to be outdoors and I want to see what’s growing. 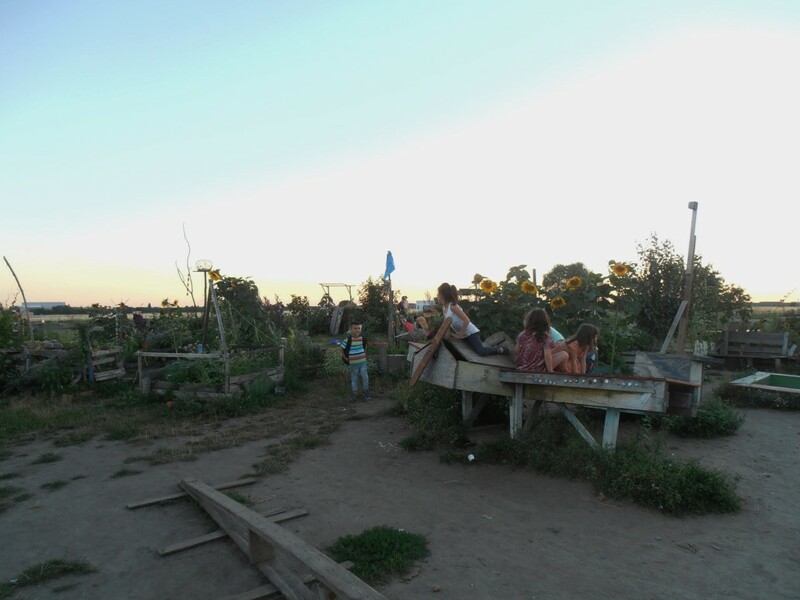 Access to land, healthy food, avoiding pesticides, food sovereignty and food security might not seem like classic urban issues – but they are. Most of people on the planet now live in cities. The easy-to-extract fossil fuels are long gone. Extinctions, ocean acidification, the loss of top soil, nuclear waste, melting ice caps, extreme inequality, land grab: the litany of misery is relentless. The question of what we are going to eat, and how we are going to grow it, is more significant than ever. And so, my trip in July 2016 in Berlin, where I hooked up with my gardening partner-in-crime, Lina Hirsch, was a bit of buswoman’s holiday. In Malmö we have been working together at Lindängelund, a large public park on the outskirts of the city with a designated gardening space for pre-schools, schools and the local community. 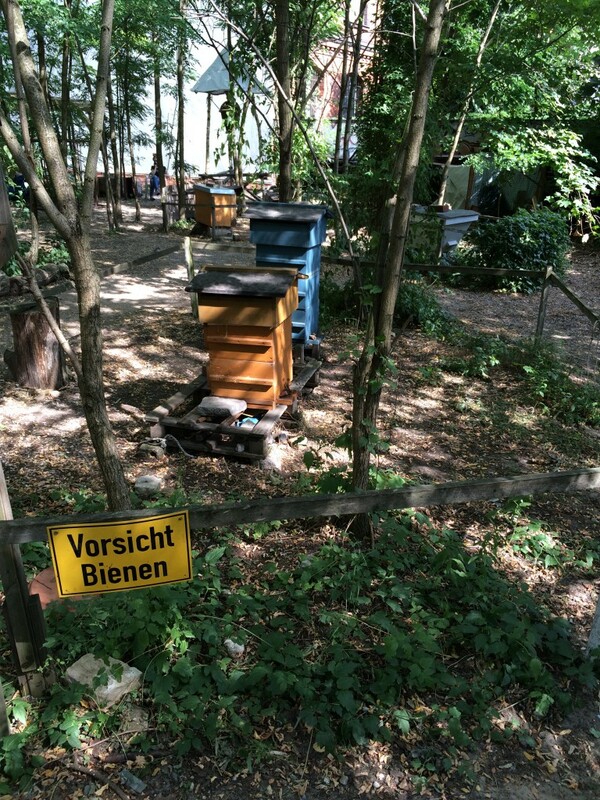 In Berlin we visited three very different urban gardening spaces, and I found a new side of the city that entranced, irritated and inspired. Our first visit took us on a packed bus ride northeast to the outskirts of the city; Berlin is enormous, but it is very easy to leave for the “countryside”. We were heading for the gardens run by the company Bauerngarten, and specifically to the gardens right next to the River Havel. The company offers a very simple, elegant and practical solution for busy city-dwellers who might not know much about gardening, and certainly don’t have the time for two-hour round trips on the bus every evening to water their vegetables. So the fine folk at Bauerngarten prepare the gardens, which are shaped into spirals, moving them each year so that the clover planted on the walkways can be ploughed into the soil as green manure. Irrigation is done automatically and four gardeners prepare the plants, provide information, tools and practical help. During our visit, we were completely spoilt by Anna, one of the gardeners, who showed us around, and explained in great detail how the project works. It was a glorious mixture of German, English and Swedish, though Anna and Lina often didn’t really need me as an interpreter. If all other languages failed they tried Latin, or just knew what each other was talking about. 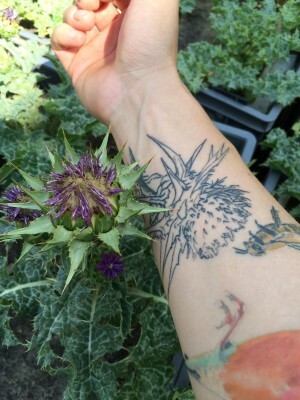 I knew about the gardens because a good friend has been growing in one of the “cake slices” of the spirals for a few years – with an impressive harvest and a larder and freezer literally stuffed with preserved food for the winter. And she’s not the only happy gardener there. However, as we know, gardening is work, takes time and requires knowledge. My friend who is sixty, grew up in an era in Germany when people (women) knew how to cook, preserve food, plan. She also spent time on a land commune, where she honed her skills even more. And as satisfying as it is to eat the local, organic food that she grows herself, she spends weeks in the kitchen bottling and boiling, and probably just as long sourcing the jars and searching the internet for tips. Even so, she reckons it is worth every minute and that she really gets a lot back for her annual fee. And the pleasure of being outside, with her hands in the soil. 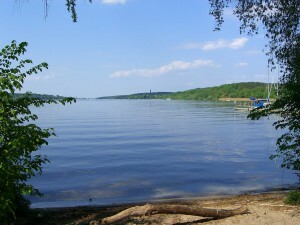 I went back at weekend to visit her, and did some weeding, had a picnic and went for a swim. Yes, gardening is graft and to hell with slugs; growing vegetables can also come with an idyllic lake. 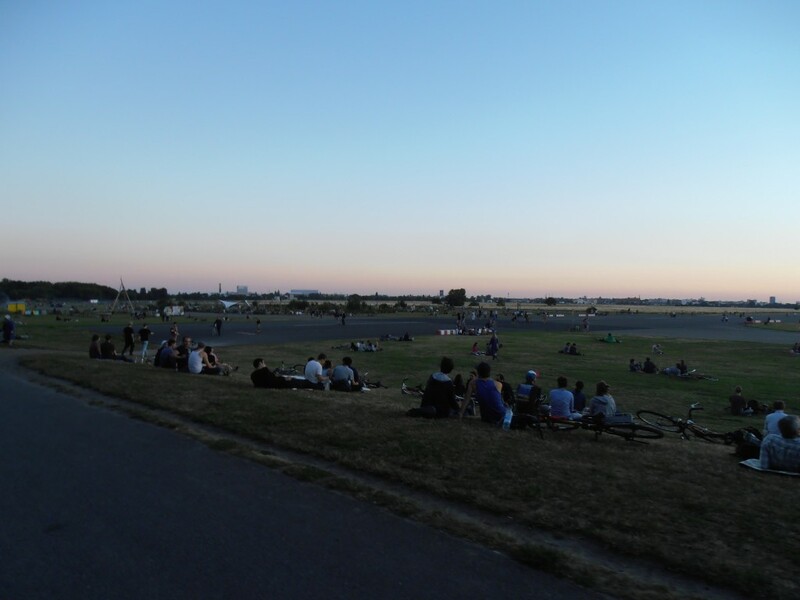 Our next stop was right in the heart of the city – Tempelhofer Feld, the site of the former airport. It is a vast and impressive and a success story of how local people who wanted a free and open public space stopped the developers from taking over. This article is a good summary of the story. 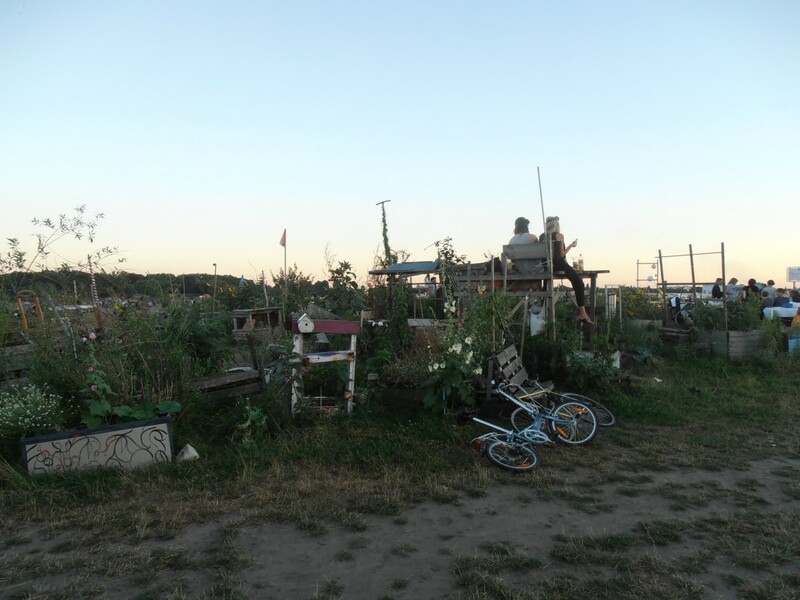 We were there to meet Elisabeth Meyer-Renschhausen from Allmende-Kontor, which is a voluntary organisation that runs the city garden on Tempelhofer Feld. 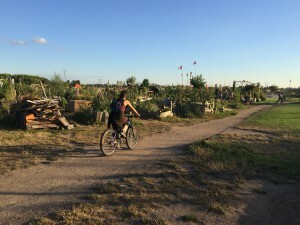 Unlike Bauerngarten, the focus here is not just on growing food for one’s own consumption but also on the social and cultural aspects of gardening in a communal space. As we walked through the gardens with Elisabeth, she said there were more “visitors” there than gardeners. 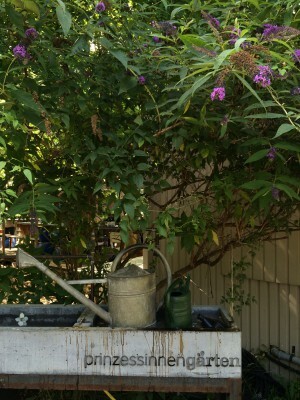 The gardens are all above ground in containers, not in the soil. This film (in German) also gives an idea of what the gardens looks like. Tempelhofer Feld is a magical place; we finished by watching the sun set over the wide open field. So “nul points” to the city administrators for their incredible lack of gumption and imagination and a million gold stars to the idealist and very practical people who keep this garden going. 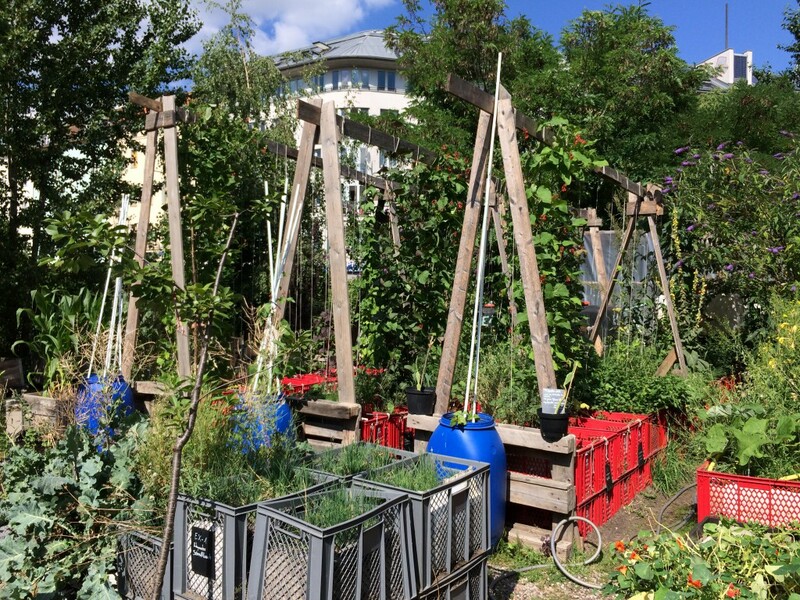 Prinzessinnengarten in Berlin has become a major tourist attraction for gardeners, nature lovers, flâneurs and folks looking for a pleasant spot for lunch, coffee or beer. Lina and I arrived on a hot and dusty July day, welcoming the green, leafy space after hauling ourselves across the city. We met up with Marco Clausen, the other co-founder, who took time to talk about the garden, the people, the history, the politics, the finances. 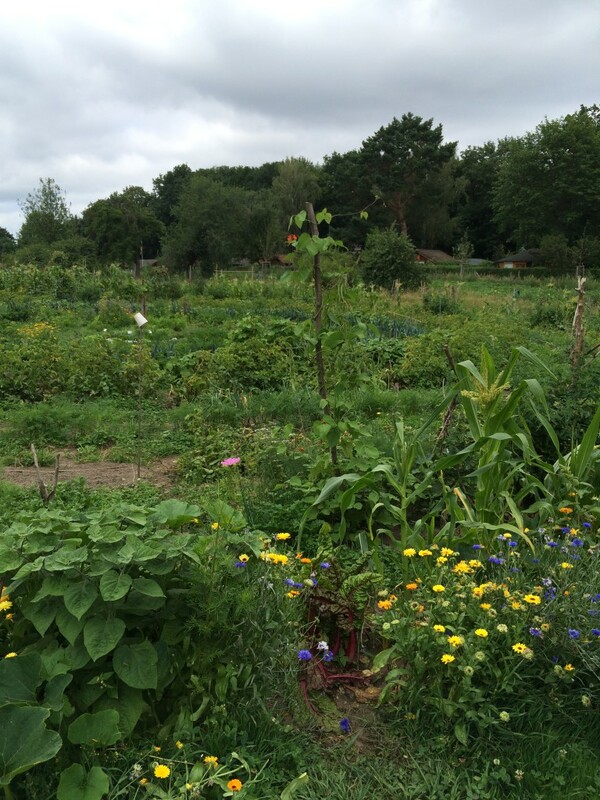 Lina and I had been organising the school gardening project together, challenging enough, yet the range of projects at Prinzessinnengarten (profit, non-profit, voluntary, food, water, work, play, city, country, social, cultural, young, old, you-name-it) made our minds boggle. 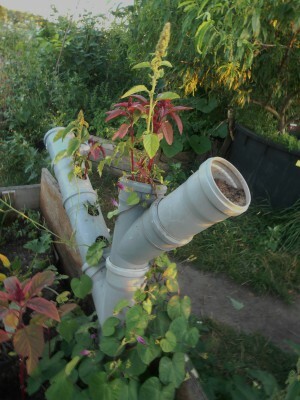 We spoke about the grim realities of urban gardening and a familar motif arose – the plants are not the problem, the people are. It all takes time and effort, the nuts and bolts of getting a group to work together, without resorting to command-and control, grassroots organising, dealing with city administrators, the land-owners, the politicians, the journalists, the visitors. Yet, the joy and sheer energy of the place was palpable. There was not one person sitting around that table who had any plans to stop any time soon. Paging Signor Gramsci? 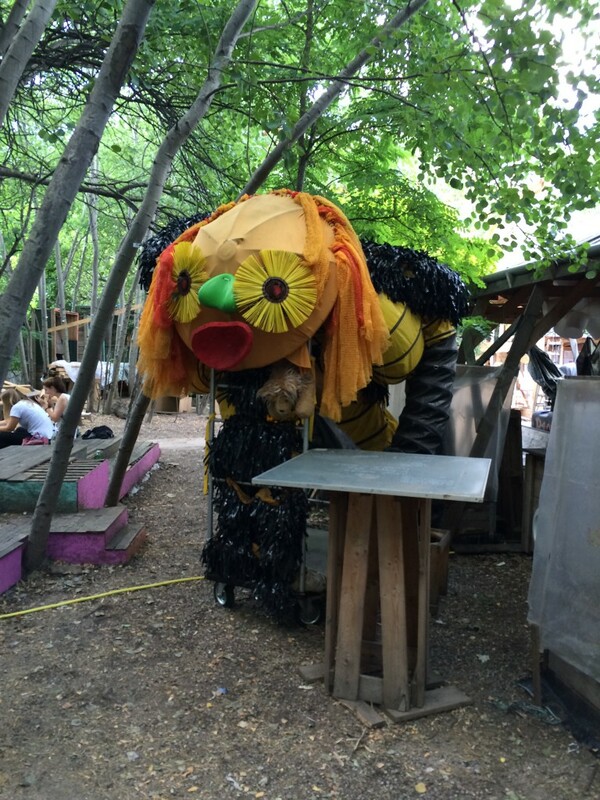 Kreuzberg, like the rest of Berlin, has been discovered by the real-estate developers. 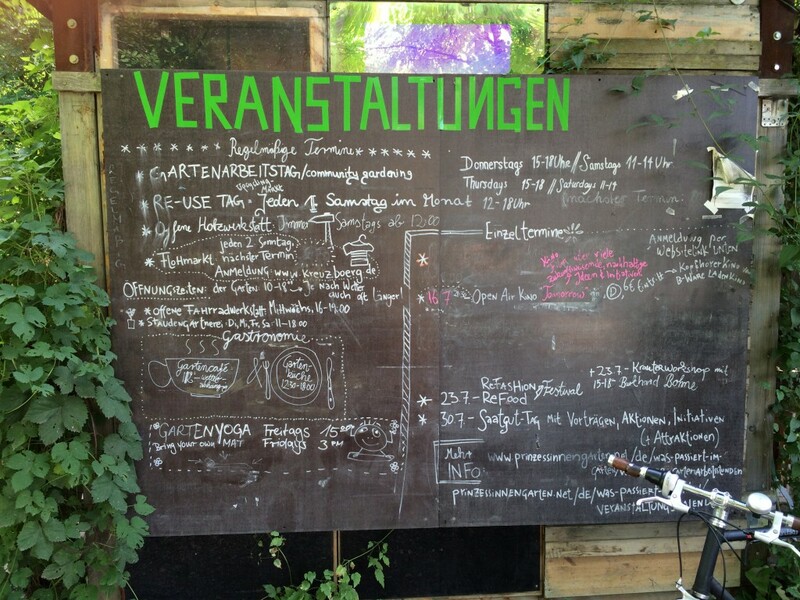 Prinzessinnengarten has a short-term lease on the space; what happens when it runs out? 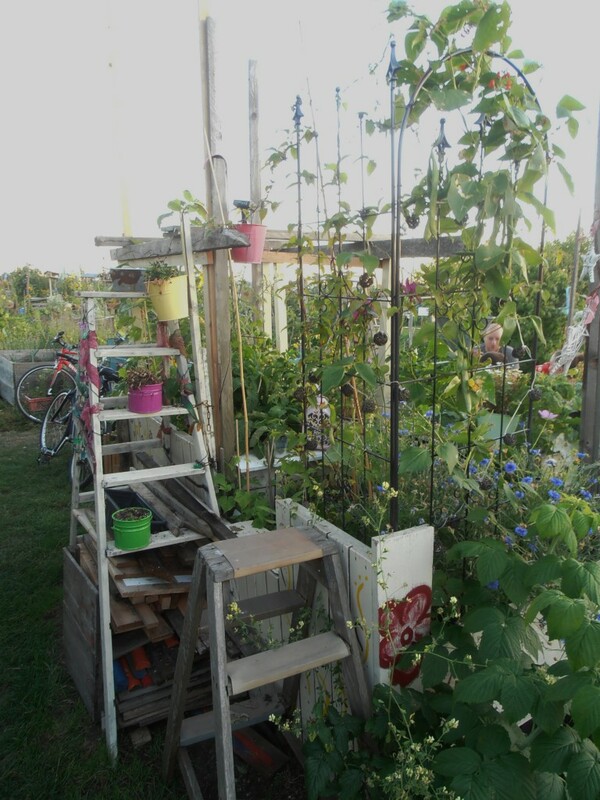 Similar to Allemende-Kontor, Prinzessinnengarten pays rent to the city – while turning an abandoned space into a functioning garden that is open to all. This situation is not limited to Berlin. 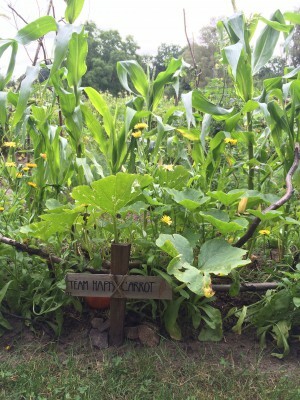 In other places, folks like Roy Finley go to court for the right to grow food in their own front gardens. The bone-drying lack of imagination of some elected representatives never ceases to appal. Marco went off to his next meeting. Lina and I took a look around. 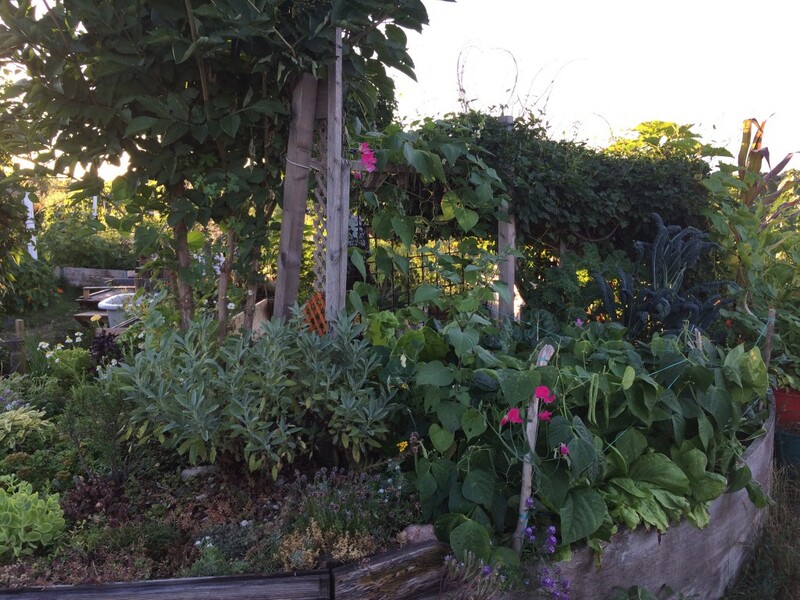 Back in Malmö, our own dreaming/planning/gardening continues. The trip to Berlin was fun and inspiring, but I was glad to get back to my own little green space and to work/play in my home city. In the background, like white noise, the litany of the ecological devastation of the world continues. So I’ll leave the last word to Rebecca Solnit – to help explain the inspirations of gardeners in our threatened ecosystem. The word radical comes from the Latin word for root. Perhaps the most radical thing you can do in our time is to start turning over the soil, loosening it up for the crops to settle in, and then stay home to tend them.